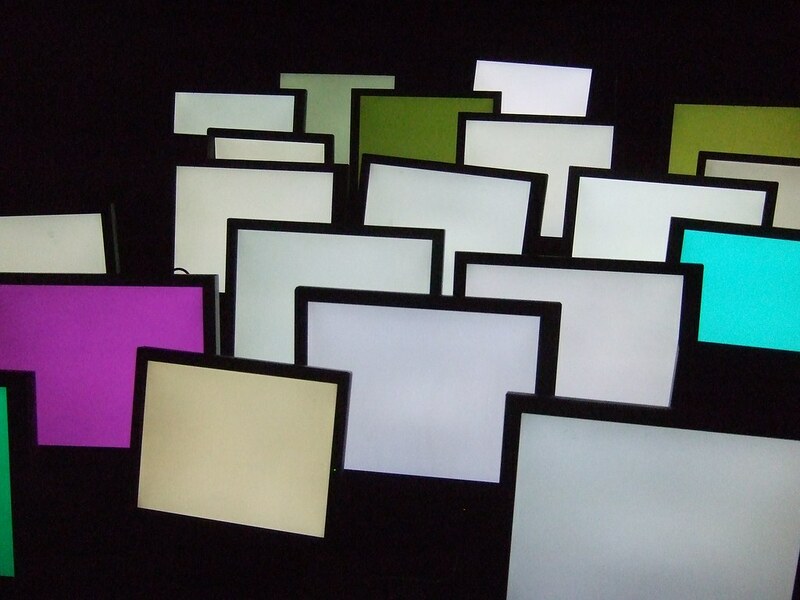 Two dozen old computer monitors occupy the center of a gallery floor in a cluster facing the wall. Each screen is controlled with custom electronics to create pulsating and strobing patterns, casting a colored wash across the darkened gallery. Dimensions: Variable (approx 3m x 3m). VGA monitors, custom electronics. 2011.